Explore the legendary Seven Seas. Fire colored balls to make groups of three or more, but don't let them reach the sea gate or you're history! Download free full version pc game today and enjoy amazing 3D graphics and exciting gameplay! 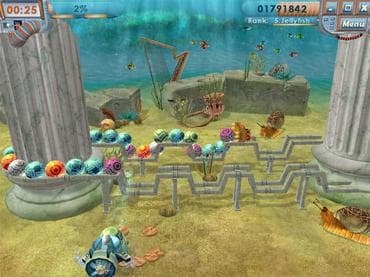 Free Game Features: - Extraordinarily addictive game play; - Family friendly puzzle game; - Modern 3D graphics; - Unique twist to the matching genre games; - Unique power-ups; - Original soundtrack and powerful sound effects; - Save / Load game option; - Game statistics; - Free full version game without any limitations. If you have questions about Ocean Quest game, please contact us using this form.